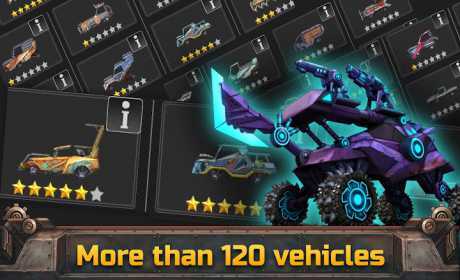 WarCars – get yourself some drive from a 1v1 on-line real-time battle! Join the ranks of professionals in a car battle of WarCars, where the strongest of this fascinating post-apocalyptic world is the most clever and cunning. Surprising opponents, elaborate designs and clever ruses of your rivals are waiting for you! WarCars – is truly a battle of cars! 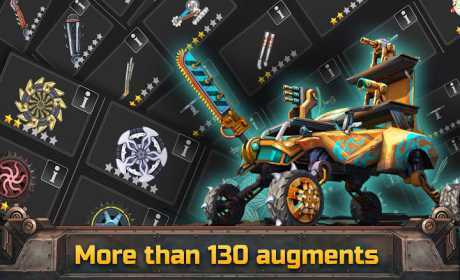 Destroy enemies’ war cars, upgun in the laboratory, and unleash your car’s crushing and striking powers. Show your best score, win the battles! Attention! Application needs a stable Internet connection!